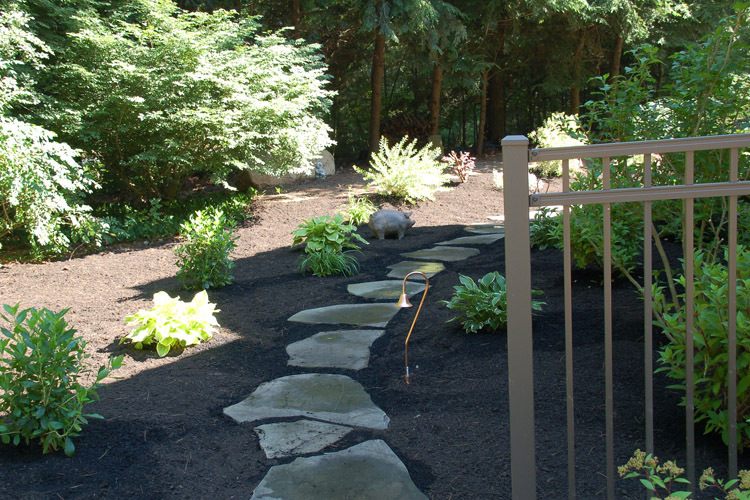 Natural stone pathways are often an ideal way to create access throughout youryard without the structure of an actual walkway. The stones are set in the earth to form a sturdy path and can create a formal walkway or a rustic path depending on the type of stone you choose. 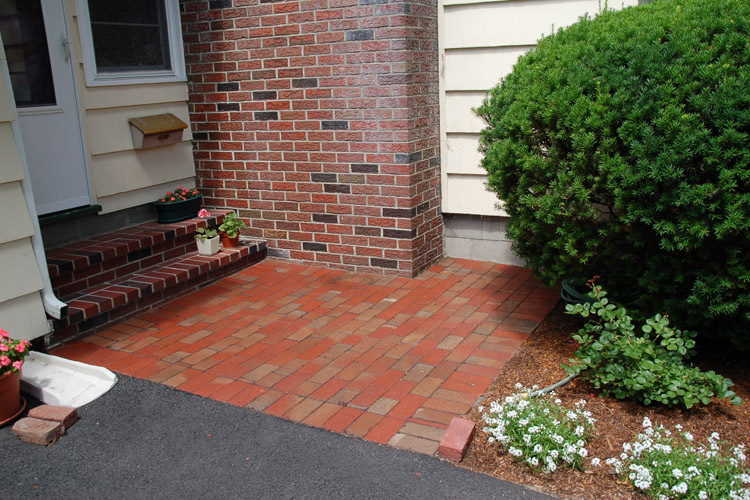 If you prefer a traditional walkway, you will have even more options for materials, such as; brick, bluestone, granite, cobblestone, concrete pavers, and stamped or finished concrete. There are many colors, shapes, textures, and patterns to choose from. We help homeowners make their best choices and we build walkways and pathways that add enduring beauty and value to their property. We would love to help you with your project!